Former king of AbaThembu Zwelibanzi Buyelekhaya Dalindyebo was convicted of arson, culpable homicide and assault. Next Sunday, the King Ngangelizwe Royal Family will meet to plot a way forward following the 12-year sentence handed to the former king of AbaThembu‚ Zwelibanzi Buyelekhaya Dalindyebo by the Supreme Court of Appeal (SCA) on Thursday in Bloemfontein. In a statement, the Royal Family of AbaThembu Kingdom commended the justice system for putting justice first even though it was on a high-profile case. Dalindyebo was found guilty of crimes including arson, assault with intent to cause grievous bodily harm, culpable homicide and defeating the ends of justice in 2010 and sentenced to an effective 15 years prison in the Mthatha High Court. Hoping to escape jail in its entirety, he appealed the case to the Supreme Court of Appeal. The sentence was instead replaced with one of 12 years. Even though the sentence was replaced, the royal family lamented that the case had taken too long to be to finalised but thanks the office of the Public Protector for “accepting the complaints of the royal family regarding the delays regarding the initiation of the process in Mthatha to connect with SCA”. The statement said, “This case had a direct impact on the members of the royal family and the victims whom some of them were still subjected to the oppression by the former king.” It also said the Royal Family had undertaken a very extensive exercise over the past few years to evaluate the full range of implications on the custom of the kingdom. 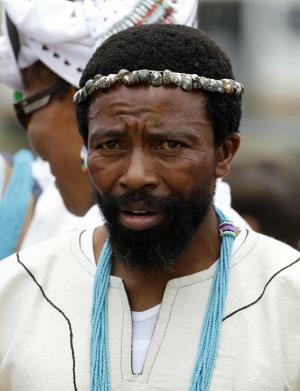 In a statement, the Royal Family said those considerations led to a decision to withdraw the tribal spear from Dalindyebo due to among other things‚ his shaking fitness. They continued to assure AbaThembu tribe that this was the beginning of their liberation. It went on to say it was fully aware that most of them had been inactive members in their own space due to conditions created over the past few years. “We appeal to AbaThembu tribe to calm down‚ reboot their confidence and allow the royal family to discuss its custom internally,” the Royal Family added.